The British government has waved away criticism of its intervention in Libya in 2011, voiced in the report by the Foreign Affairs Select Committee in September. It argues the involvement helped save civilian lives and weaken extremist militant groups. “UK military intervention in Libya was part of the Government’s policy response to a revolution started by Libyans in February 2011 and the violent crackdown by the [Gaddafi] regime that followed. […] Our objective remained clear at all times: to protect civilians and to promote stability in Libya,” the government’s response, published on the Parliament’s website, stated. The statement is in response to a lengthy report by the UK Foreign Affairs Select Committee dubbed ‘Libya: Examination of intervention and collapse and the United Kingdom’s future policy options’. The report was a damning assessment of UK’s actions in Libya in 2011 which supported the local uprising and brought about the ouster of longtime leader Colonel Muammar Gaddafi, with rival powers and militias fighting for control over the country ever since. The document, compiled by MPs, also blamed then-Prime Minister David Cameron for being “ultimately responsible” for the failure to develop a “coherent strategy” in Libya. “The Government does not agree with the conclusion that no proper analysis of the rebellion or threat posed by the [Gaddafi] regime was carried out. Real-time and evolving military, intelligence and diplomatic assessments gave Ministers an understanding of the detailed context in which to take strategic decisions, as well as identifying areas where further information was needed,” the government claimed in its response. It also argued its actions were justified by Gaddafi’s unpredictability as a leader. “[Gaddafi] was unpredictable and had the means and motivation to carry out his threats. His actions could not be ignored, and required decisive and collective international action,” the government stated. 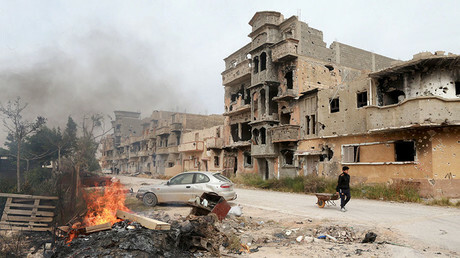 The 2011 joint bombing campaign by the UK, France and the US came after Gaddafi loyalists advanced on the rebel stronghold in the eastern city of Benghazi. “…the [Gaddafi] regime had launched military counter-attacks and there was intense fighting against opposition forces… disturbing reports of detentions [and] serious violations of international humanitarian law, including war crimes,” the government recounted in its defense. The September report noted that in its surge for defeating extremists in Libya, the UK government overlooked the fact that it should instead have supported “a central authority” in Libya and should have been aware that extremist groups would attempt to benefit from the chaos of the rebellion. “[IS] are now on the back foot in Libya,” the government replied. “We are working closely with [internationally-recognized government] and international partners to develop a comprehensive approach to defeating [IS]. This approach is consistent with the objectives of the Global Coalition against [IS],” it added. The chair of the committee that authored the initial report, Crispin Blunt, however, did not find these assurances credible. In his commentary on the government’s response, he said it had not learned the lesson of the intervention in Libya. “The committee accepts that, as the government response suggests, UK policy in Libya was initially driven by a desire to protect civilians. However, we do not accept that it understood the implications of this, which included collapse of the state, failure of stabilization and the facilitation of Islamist extremism in Libya… I believe we are about to repeat the failure to have adequate plans and resources for stabilization in Mosul. Libya should have taught us these lessons,” Blunt said. Libya was one of the poorest nations in Africa until Gaddafi took power in 1967. By the time NATO intervened in its internal conflicts, it had become the continent’s wealthiest nation with the highest per capita GDP and life expectancy. Altogether, NATO conducted roughly 9,700 airstrike sorties and dropped over 7,700 precision-guided bombs during its military intervention. 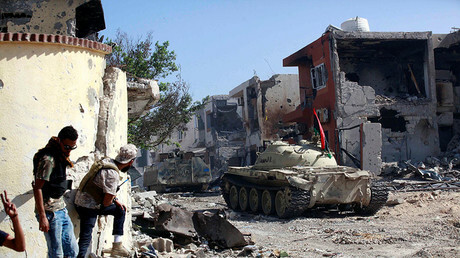 The eight-month standoff with the alliance resulted in Gaddafi’s death. There are still no exact figures on casualties, but the Libyan Health Ministry estimated that at least 30,000 people had been killed and 50,000 wounded during the first six months of war. In 2012, the United Nations Human Rights Council concluded that in total 60 civilians were killed and 55 wounded by the NATO air campaign in Libya. In May the same year, Human Rights Watch published a report claiming that at least 72 civilians were killed. Yet the numbers voiced by Gaddafi’s aides before his death claimed airstrike victims were even then counted in hundreds. Libya is currently in a state of a civil war. The ongoing conflict is among rival groups seeking control, including the internationally-recognized government in Tobruk, the Government of National Accord (GNA), and Tripoli-based General National Congress (GNC). 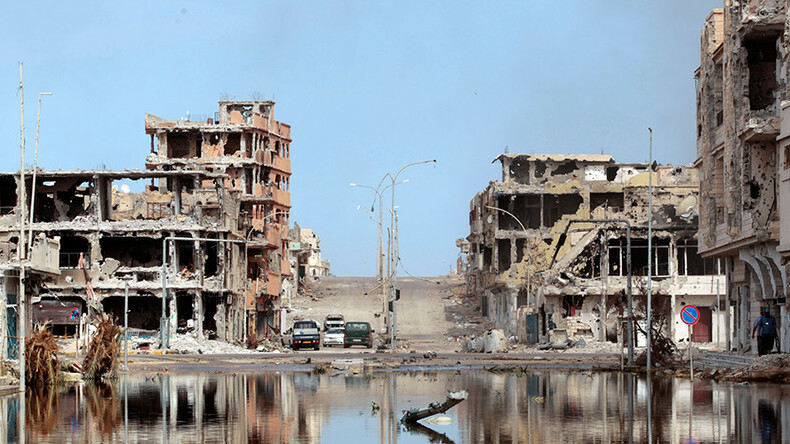 Although the GNA – backed by the UN, along with the US and its allies – is now functioning, it’s also still trying to impose its leadership outside the capital, Tripoli, while its authority is unclear as specific details acceptable to all sides have not yet been agreed upon. The main results of the West intervening in Libya are an uncontrolled flow of migrants fleeing the war-torn state and attempting to get to Europe, and the infiltration of Islamist militants that are still in control of patches of the country. 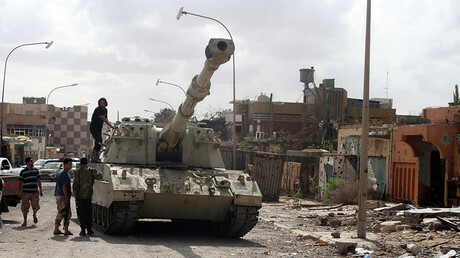 Although government forces have been closing in on the key Islamist-held city of Sirte, hoping to flush out IS forces that grabbed the territory during factional fighting more than a year ago, much of the rest of Libya is in the grip of fighting by rival armed militias.